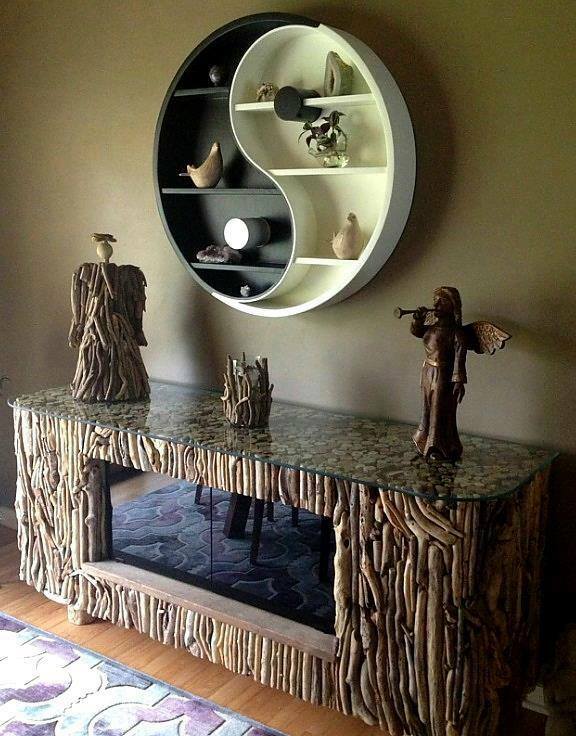 We are fed up of seeing simple pieces of furniture that can destroy the modern design of the home. To make a change at home/exterior place, you can be smart and use natural wood furniture at your indoor and outdoor place. What follows next is something that you shouldn’t miss! 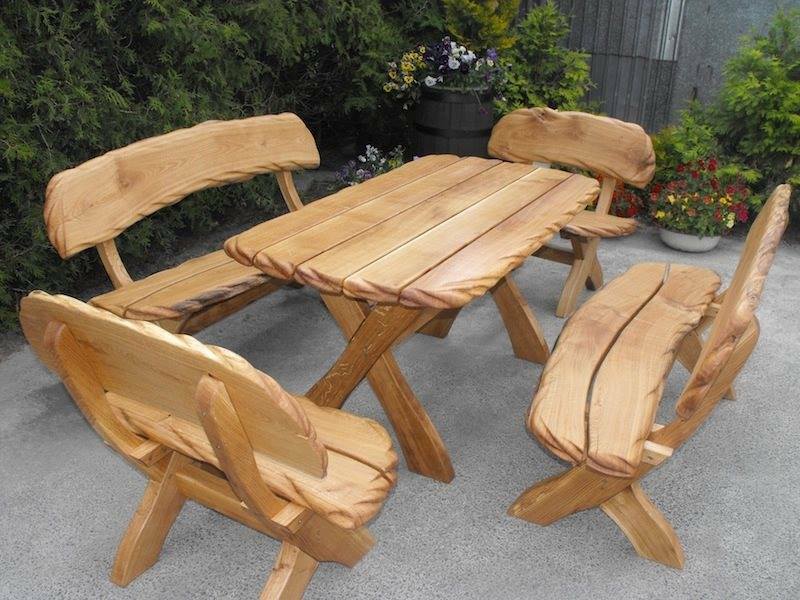 You will see attractive chairs, coffee table, dining table, outdoor bench and swing and all this made of natural wood! Stay where you are and get impressions in these photos and also read about how to choose the best fireplace for your living room. Follow this link that will take you to the most creative website ever! 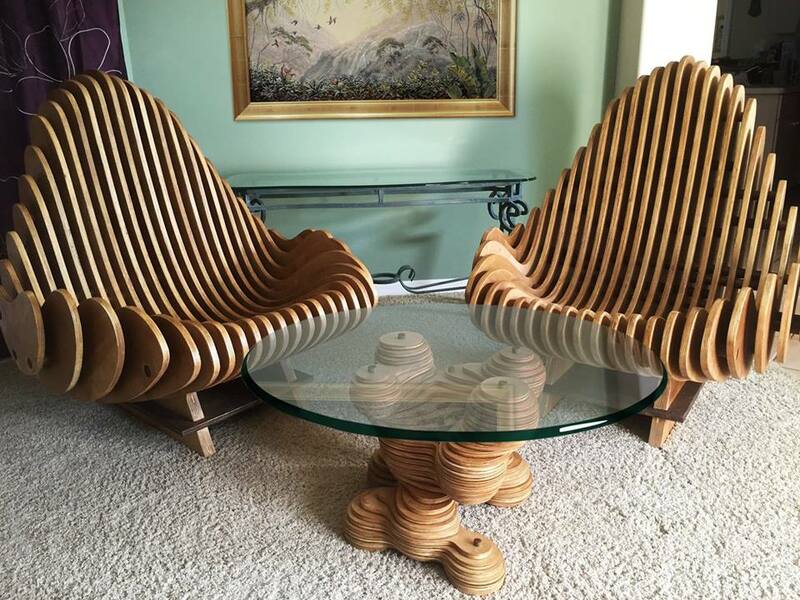 In the first photo we want to give you an idea about wooden chairs and table for the living room area. 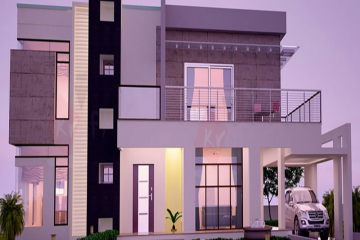 If you think that this will be suitable for your home, save the photo for you! As you can see in this photo, a combination of glass and wood will give you extra look to your room. You can use this stand to organize there your special souvenirs or simple to add there your TV. With a table like this your home will be perfect and good looking. you will wish to invite your friends for drinking coffee together every day. 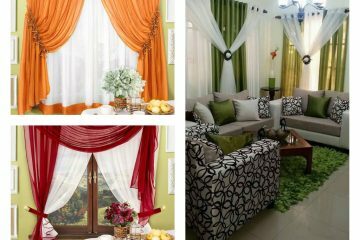 Decorate your home but also leave a space for the outdoor place. 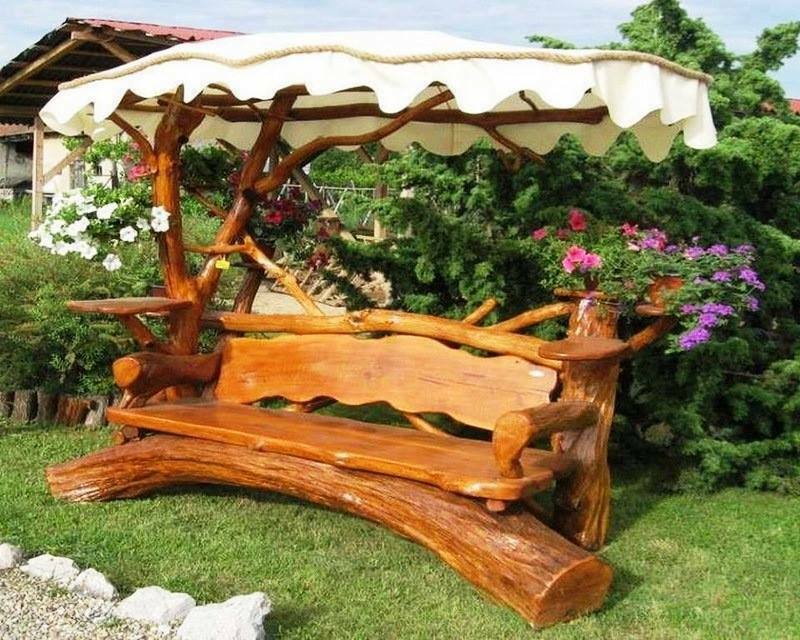 Bring those natural wood in the garden with lovely rustic wooden bench that will be the focus to your garden. 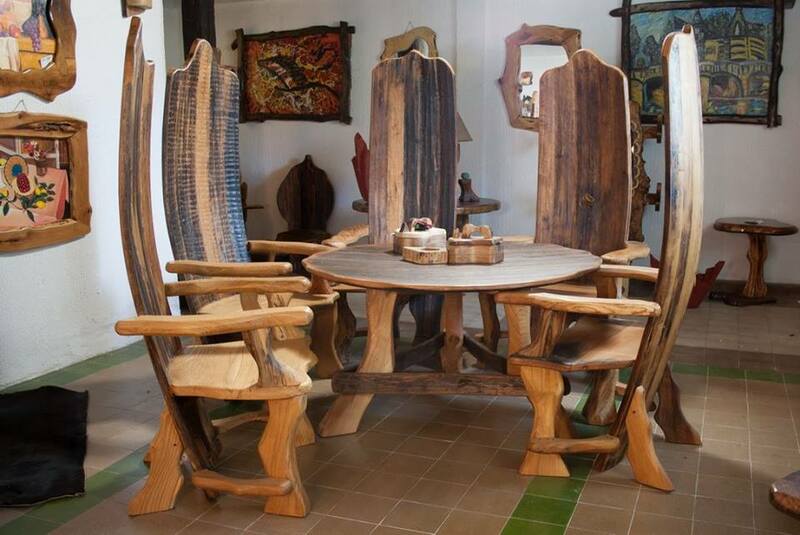 Your dining room can be transformed into place for attraction if you choose to add there tall rustic chairs like these. 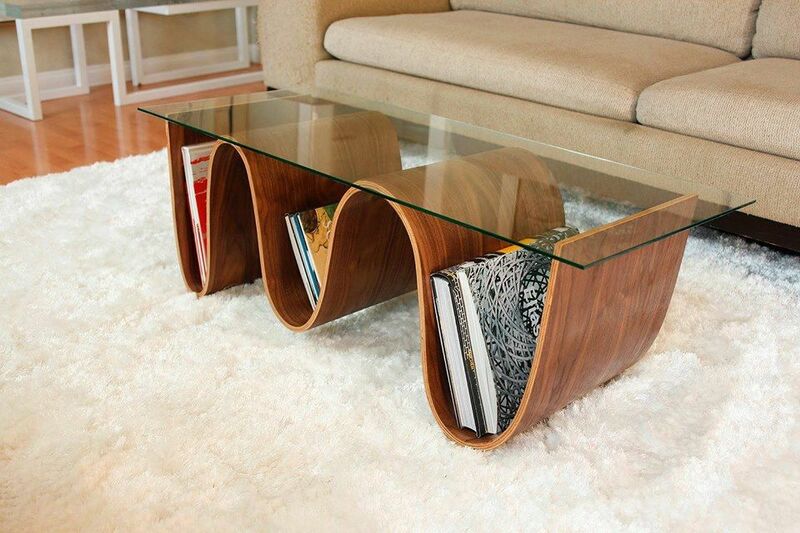 Find perfect place at home to organize the books you have and you wan to be seen by your guests. Copy the style of this table and order the same table for your living room. 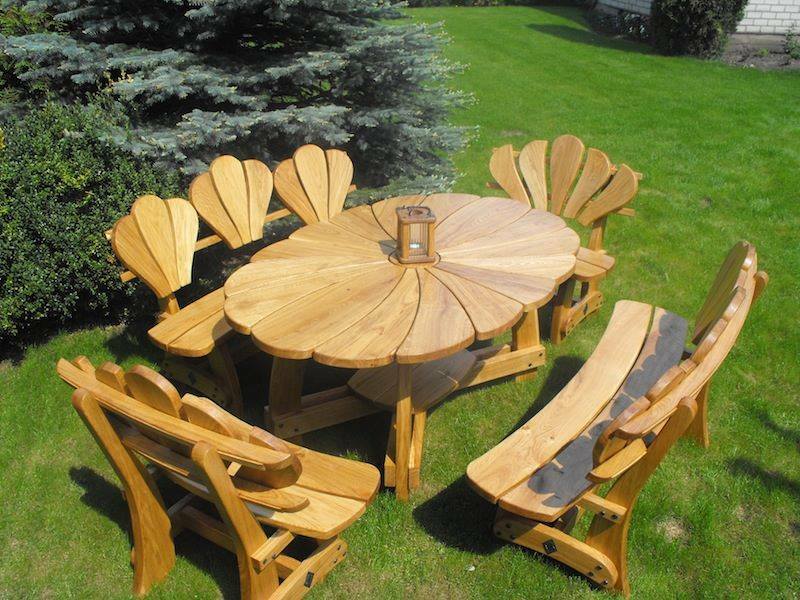 Take a look in this attractive wooden seating table and chairs that will look nice in your backyard place. 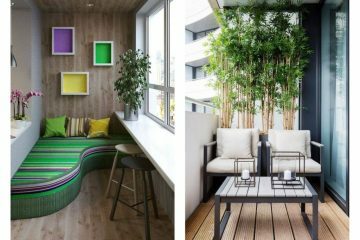 Whenever you plan to change the design of furniture in outdoor place, use this idea and bring the contemporary style there. Also, take a look in this photo and find inspiration on how to create a dreamy outdoor seating area and to spend your free time there. By the way this is the last idea of this post and thanks for your attention. This is all for today’s post and ideas. 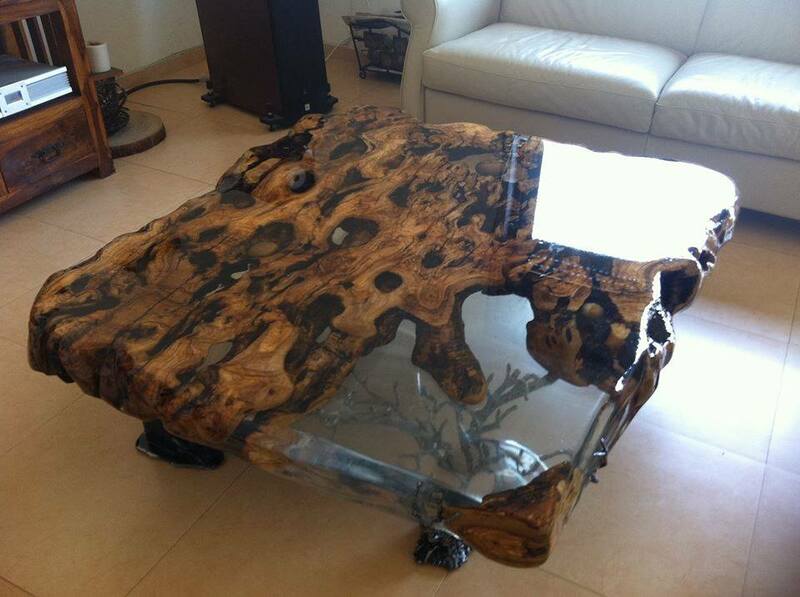 For the end, I just want to reveal you that some of this furniture can be made by yourself. If you are creative, you have free time and imagination, save the ideas and try to make something nice for home.